The biggest secret I have found to moving is to stay calm, my stomach always used to churn every time my husband would say: “Let’s look at moving to London, Perth, Colorado….” I would have this rush in the pit of my stomach and wonder how we were going to cope with the challenge. Now, I take it one step at a time. What do we do first, what do we need to know before we make the decision, how does the family feel about a new culture, different schools, a new home and most importantly new friends. So, where do we start? Usually with the most important questions, why are we moving and do we really want to change from our comfort zone, once you have been able to answer these questions and you have more positives about leaving than staying (and the answer to this could be as simple as being offered a job in a new country), then you need to start researching the place you are moving to. Questions start surfacing such as will we fit in and be happy in a new country, what is the education like, medical facilities, culture, politics, housing, work conditions, transport and entertainment? How many expats like ourselves will be living there, will our life be normal or will we have to adjust too extremely, and are we happy to do this? This is where I start searching the internet, www.wikipedia.com is a great site to get an overall overview on any country in the world and it will cover all the basic factual information for you, including geographical location, population, historical background, religion, culture, education, economic situation and political info. The above would be the questions that I would want answered, as the spouse that stays at home and cares for the children, however bread winner wants a different question answered. They want to know what they should be earning in the new country and this is where xpatulator.com can be relevant to you. Xpatulator gives you the answers you are looking for dependant on the questions you answer in the Cost of Living Calculator. It will determine what your salary in the new country should be to maintain your standard of living, and at the end of the day as the spouse that stays at home you need to know these answers as well. Why, you may ask? Because $200 000 may sound like a fabulous salary, however if your cost of living in the country you are moving too is extremely high, it may not cover your costs on a monthly basis. 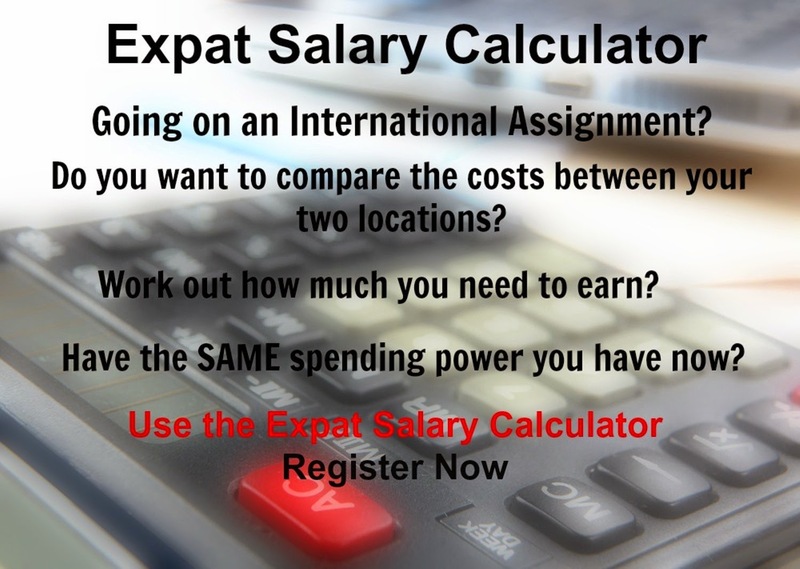 With the calculator, you can determine whether or not you will be able to afford to live in the new country. The calculator will work out the salary you should be earning if you have to cover all costs, or if your company will cover some of those costs for you. They also cover the Negative Cost of Living and Negative Hardship. What are these you ask with horror? Negative Cost of Living refers to a location that has a lower cost of living than the country you are living in and selecting to use this will result in a proportional decrease in the salary required e.g. if you had to move from London to Zimbabwe you will find the cost of living will be lower (negative difference). Negative Hardship refers to less hardship in the new location e.g. if you had to move from Zimbabwe to London you will find that your quality of living will be easier (negative difference).